VAC-PAC Gold Vacuum - FREE Shipping! Vac Pac Gold Vacuum FREE SHIPPING! Gold miners know that with every heavy rain, flood waters lift and suspend fine particles of gold. As the water slows, the fines are deposited in crevices and moss along a riverbank. If you don't yet have a way to recover those concentrates, but know a good spot or two where a vacuum device would really come in handy, then the VAC PAC gold collecting device is for you! It's not new— it's tried and true — having been first manufactured in the 1980s. Weighing less than 15 pounds, the VAC PAC is simple to operate and is the perfect tool for every miner, beginner and seasoned pro, who wants to collect material .5 inch or less that contains fine gold. This machine was developed as a low priced, light-weight, complete gold collecting device that can work all day on a quart of gas. 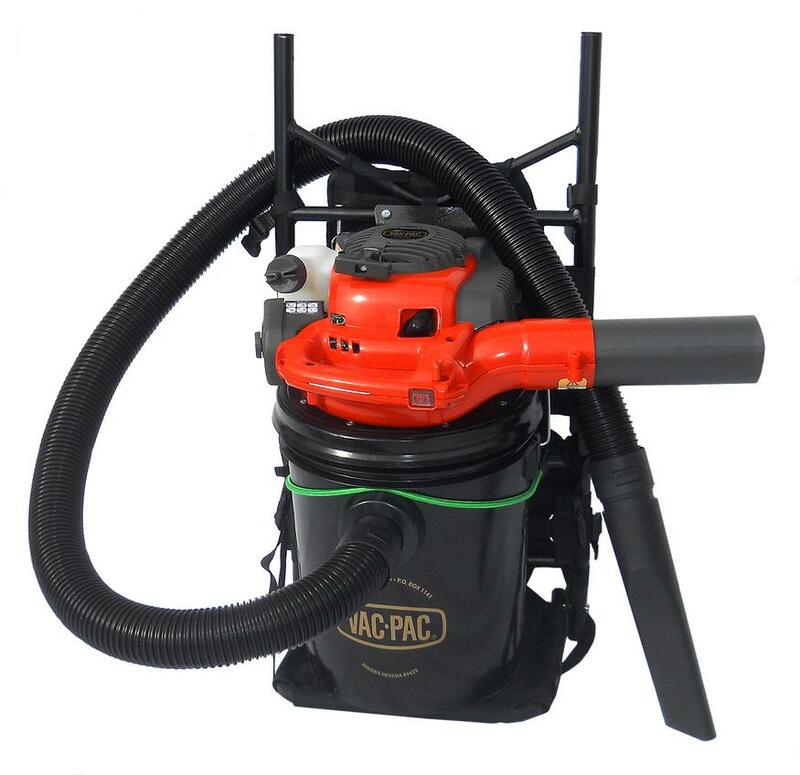 The VAC-PAC has a 2 inch inlet hose that can vacuum those rich concentrates at the rate of one gallon/minute, and has enough suction to lift a rock larger than the hose diameter. And it can run a small drywasher, too! VAC-PAC backpack vacuum can be used year round, so it's ready when you are.